Overview: To my knowlege nobody else has tried running a high performance aftermarket Forced Performance manifold on an F22 with a dsm turbo set up. I did some research and read reviews on this manifold over on the dsm tuner forums and found that this is a direct plug and play swap for the oem 1g and 2g manifolds. Meaning it doesn't relocate the turbo any when compared to the oe manifold. So any f22/h23 dsm turbo guys. This manifold is where its at. I purchased this manifold for 220 shipped and Paypal fees via FB used and with only 4k miles on it! Doesn't need that exhaust pulse separator that the oe manifolds need. 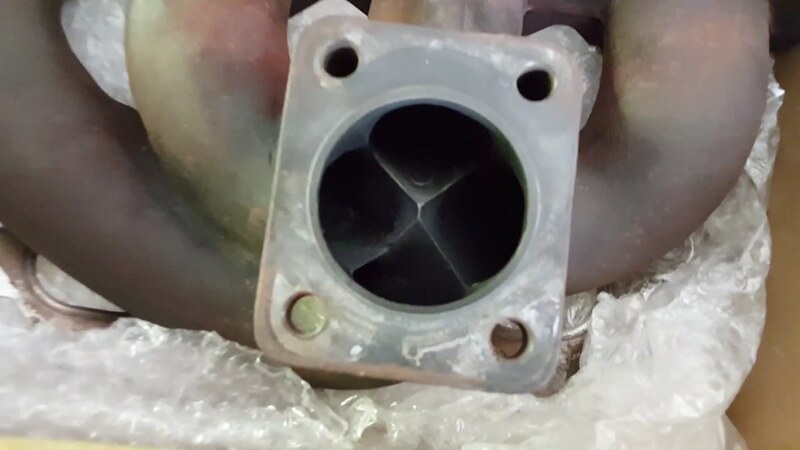 -same cast iron and nickel content that turbine housings are made of so it's well built and not prone to cracking over cheap ebay tubular manifolds or oe stuff when you crank up the boost and heat! Fitment: as far as fitting the manifold onto the head, required modification is as follows. Next would be to grind out the areas you just marked. However i found that a dremel and orange grinding bits dont cut quite as fast as a drill milling machine would with a small end mill. The next easiest way without having such a fancy shop and mill at your disposal is to wollow out the holes with a fairly large drill bit, I'd say about 9-10mm and then use the dremel with thise grinding bits to finish it out since trying to use a hand drill to apply axial force to oval a hole is near impossible. This takes a bit of time and effort, but well worth the simplicity and price range of many dsm turbo set ups. Sidenote: The lower passenger side stud is too far from the flange to grab on so a large washer is needed to at least utilize that stud for some clamping force. Last edited by Carbonaccord; 08-10-2017 at 07:12 PM. I've seen the FP DSM race manifold and it's very well designed. 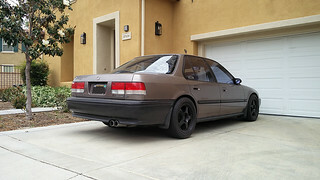 I'm also surprised given the number of turbo F22A's using the OEM DSM manifold that this one hasn't been tried before. Considering the price of a new replacement OE turbo manifold the Forced Performance race turbo manifold is the way to go. The FP Race turbo manifold goes for $275.00 directly from Forced Performance. A new factory OE is typically only about $20 cheaper. The material is called D5S Ni-Resist. Which contains 36% nickel, 5% Silicon and 2% Chromium. The maximum manifold temperatures for D5S is also quite high for a manifold of it's type. 1598*F for the manifold with 1742*F for the exhaust gas temperature. 870*C and 950*C. And D5S is fairly easily machined. The FP Race turbo manifold is also noticeably heaver as it weighs 15 lbs give or take. Factory DSM turbo manifolds weight about 10-12. Forced Performance will port it for you for $95.00 and coat it for $120 and their coatings are done by Tirado. I myself wondered why more people weren't using this turbo manifolds on their F22A DSM set ups. I figured it was because they were either unaware or they were picking up used factory manifolds on the cheap. Some great info you got there! Blew me away lol.. yeah i never understood why nobody ever went FP manifold.. they're a little pricey over an oem but so much better in many aspects. I'll get some photos working soon i promise! Ive been trying from my s6 wich i feel is the problem. Last edited by Carbonaccord; 08-10-2017 at 11:57 AM. I see you are running a TDo5. What wastegate is that pictured? I'm glad you shared this information btw. You seem to be doing some pioneering as apalileo stated. I think it's also largely overlooked because 1) CB7 guys doing the DSM setup are usually trying to do the cheapest build possible. 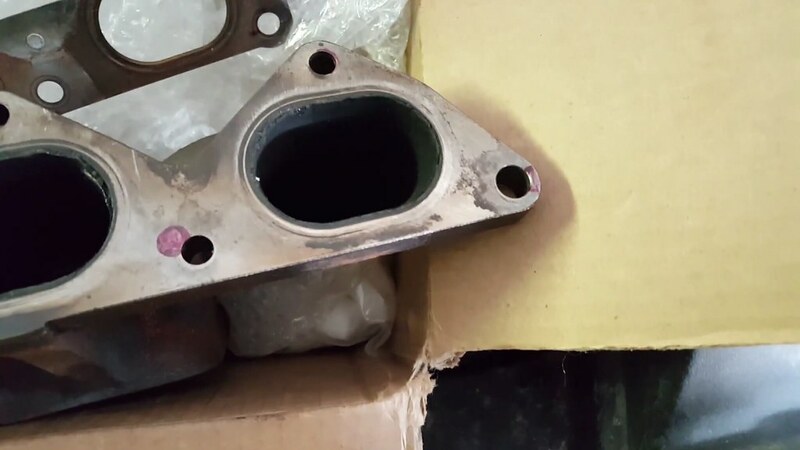 A $25 used DSM manifold that seems to be in good shape is what they're looking for. If they want to spend money, they probably go to Treadstone for a complete kit. 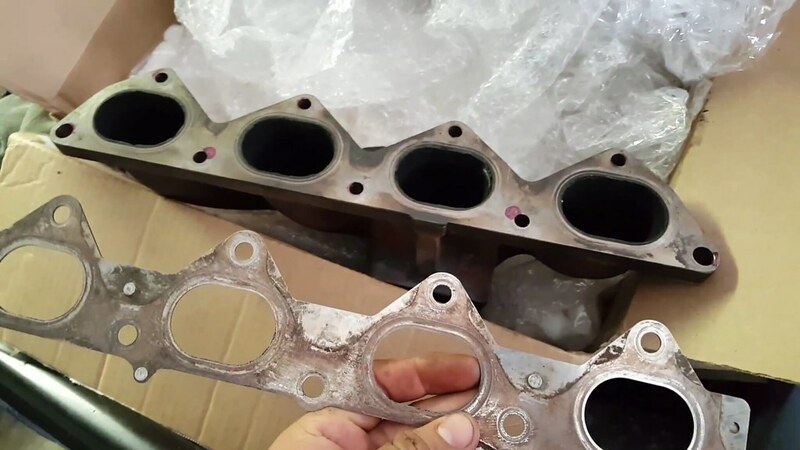 Or 2) A shiny tubular stainless steel manifold that is made for the engine they're installing it on is likely what many people look for if they're doing something other than a stock DSM manifold. Any sort of performance-oriented manifold designed for the 4G63 is usually ignored because why buy something you have to modify when you can just buy something that is made to bolt right on! That being said, this is probably a better option than damn near everything available for the F22A. If I was going to boost an F22A, a Treadstone kit would probably be my first choice... largely for the simplicity of getting a quality kit all in one shot... but this manifold is definitely intriguing! You're right on the money deevergote. I would not have known about Forced Performance had I not owned a Subaru. ^^^ Wow, yeah. It's surely one of the most popular turbo manifolds in the DSM world. But it's cool that Carbonaccord seems to have brought it to attention though. The more options on the table the better. Absolutely. Especially since anything quality that may have existed for the f22 specifically is probably out of production, or soon to be. Yeah the actuator arm is adjustable on that one. But I've never seen that exact one before. The OEM replacement for the 14b/16g is like $195. And of course I need one which is why I asked. The 20g will not fit with a dsm manifold on our cars. The block needs to be ground away to much cause the manifold is to “short”. I have had my FP manifold setup for about 9 years. The manifold is extremely well made with more than enough metal at the flange. Setup all depends on how creative you wish to get.